Kids love backpacks that they can keep their favorite things in as they go about learning the world. 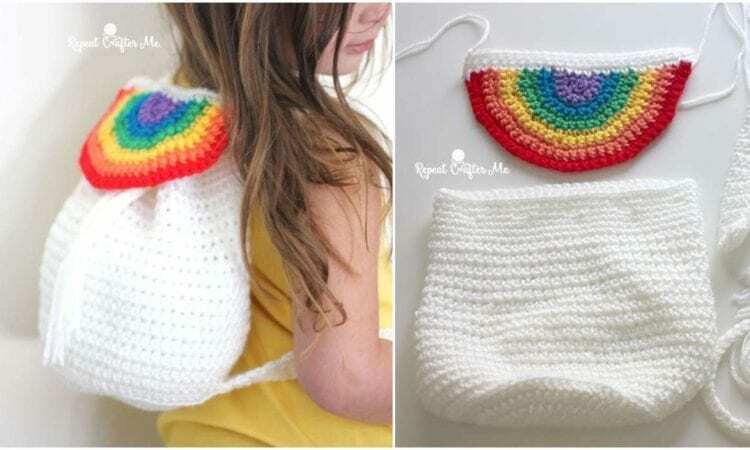 This fun project for a girl’s backpack will definitely put you in her good books. It has a certain unicorn style to it, with its white body and rainbow topping. It’s definitely a an eye pleaser and enjoyable pattern to make. A link the free pattern is at the end of the post.